IBM Blockchain is transforming enterprise capabilities across industries, fostering new insights and decisions: from trust and transparency in our food using IBM Food Trust , to digitization and transparency of trade using TradeLens, to transforming digital identity into trusted identity using Identity, to redefining access to money for people and businesses everywhere using World Wire. 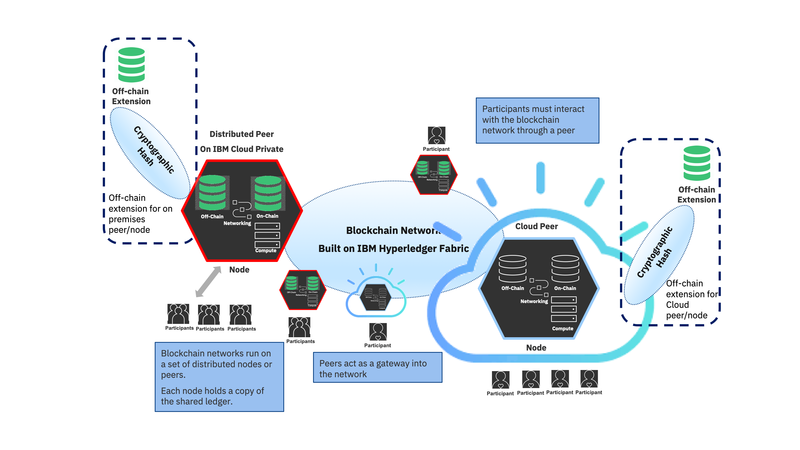 The IBM Blockchain Platform and IBM Blockchain Solutions are rapidly innovating to make commercial operations more efficient and secure. Off-chain data stores can be used to store large documents of application artifacts when the only shared value of the application is the evidence of the artifact state at a point in time. Many blockchain solutions are allowing businesses to digitize hard-copy forms with the blockchain supporting the evidence and digital signature of the form.For example, a retail blockchain network establishes a blockchain for clients to purchase its goods across a consortium of retailers. When a customer purchases a widget from company A, it states the aspects of the product and claims that it will deliver on a specific date. The customer registers a photograph of the widget when it arrives as proof of delivery of the order. The purchase and delivery agreement are transaction data captured on-chain, but the photograph of the delivery person and the product in the customer’s possession is stored in an off-chain content management system with on-chain evidence. The ledger includes cryptographic hashes identifying the corresponding data residing on the off-chain datastore. 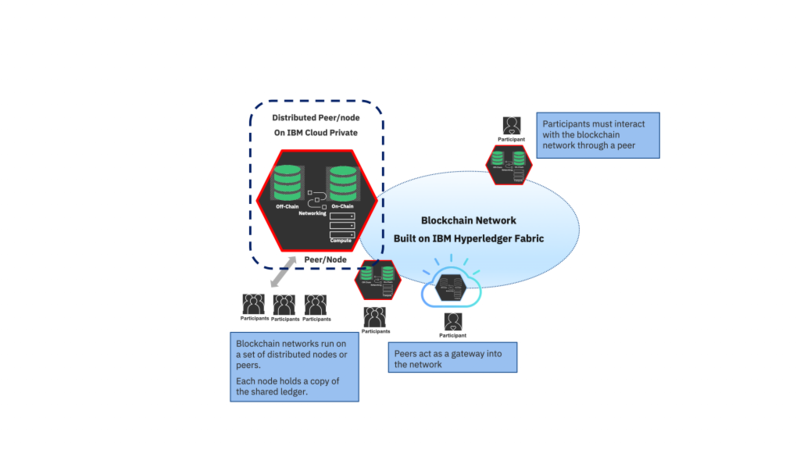 Read the original article, published February 5, 2019 on the IBM Blockchain Blog. The post Storage for blockchain and modern distributed database processing appeared first on IBM IT Infrastructure Blog.